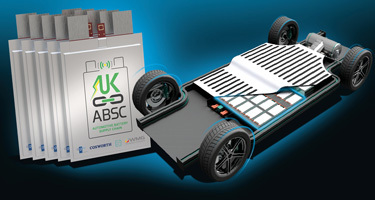 At Cosworth, we believe the key to making hybrid and e-mobility viable lies in the development of the battery. Energy storage is currently one of the greatest limitations facing this approach. With many years’ experience collaborating with OEM customers, we’re ideally placed to apply our expertise to the world of electric and hybrid powertrains. To bring new ideas to fruition, we have joined forces with a number of British companies to form the UK Automotive Battery Supply Chain consortium, in conjunction with the UK’s Advanced Propulsion Centre. Our collective mission is to produce a leading-edge smart cell battery management system that will power the next generation of hybrid and fully electric vehicles. By integrating cell monitoring technology into each battery cell, there is the opportunity to increase the battery life, reliability, safety and performance of electrified vehicles, and to help reduce the costs of recycling at the end of the battery’s life. As a result, we will showcase the benefits of advanced battery systems that provide smarter energy management, reduced manufacturing costs, and improved performance for the next generation of electrified vehicles. 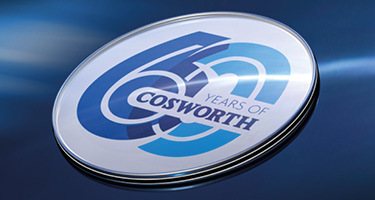 Cosworth is utilising its extensive experience to select the right characterisation for the high-performance hybrid and electric vehicle systems and to specify the battery requirements. We will also be optimising the thermal management of the system, and laying out the design to package in the safest and least intrusive way within the vehicle platform. We’ll be testing the smart cell pack in our state-of-the-art facilities to prove the functionality and energy delivery characteristics of this system. Using advanced instrumentation and energy management algorithms woven into our bespoke testing programme, we’ll study how the battery pack performs as an integral part of a modern electric powertrain. The opportunities for this technology expand beyond the automotive to energy storage, marine, and aerospace applications. With the integration of cell monitoring capabilities, repurposing battery systems will become more efficient and reliable than ever before.